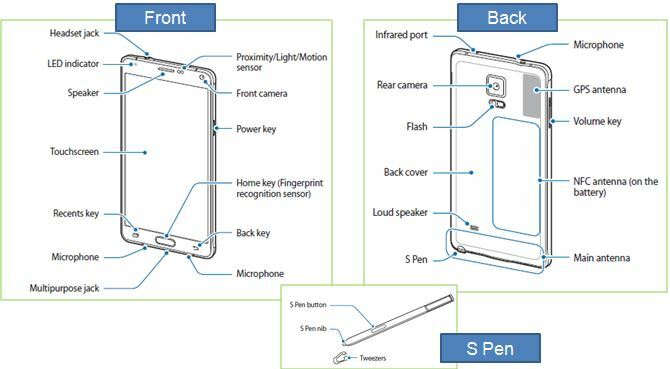 How does the parts of the Galaxy Note4 layed out? 1.Do not cover the antenna area with your hands or other objects. This may cause connectivity problems or drain the battery. 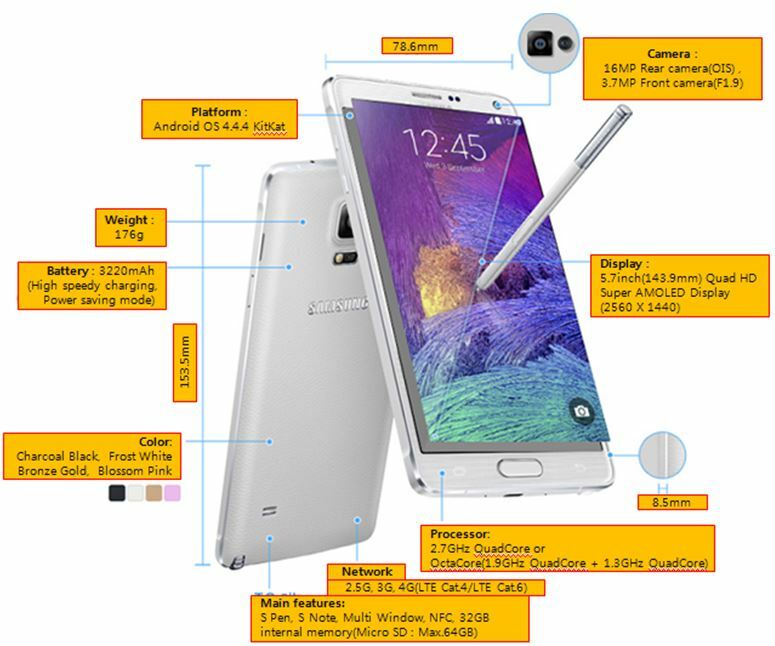 2.Using a Samsung-approved screen protector is recommended. malfunction in humid conditions or when exposed to water.